A journey through the Linux ecosystem, with no particular destination in mind. iDempiere is an open source Enterprise Resource Planning (ERP) system that describes itself as "OSGi + ADempiere", but what does that mean in practice? This post describes OSGi and the technology stack that was used to build iDempiere so that developers and solution architects can see how the system hangs together. In the beginning, there was Compiere ("to accomplish, complete, fulfill" in Italian), an open source ERP system that was started in 1999. Initially it was very successful but after a long-standing disagreement between the developer community and the management company behind Compiere about its monetization strategy, the project was forked by a number of developers to create ADempiere (a word like 'compiere', but with the additional sense of "to fulfil obligations, or discharge duties", and also "to honor and respect"). ADempiere was also very successful, but its monolithic design had a number of limitations so some of the core architects forked the codebase in 2011 to create a more modular system called iDempiere, based on the OSGi specification. The OSGi specification defines a dynamic component system for Java. It is a specification that describes how individual bundles of code, also known as plug-ins, can be connected together in a dynamic way by a services layer that offers a publish-find-bind model for plain old Java objects (POJOs). In standard Java everything in a JAR may be visible to all other JARs, but with OSGi, everything in that JAR is hidden unless it is explicitly exported in a predetermined manner. There is no sharing by default, so a bundle that wants to use another JAR must explicitly import the parts it needs. Conversely, a bundle must explicitly export functionality that is to be used by other bundles. Execution Environment: the underpinning OSGi platform that manages the containers. Like the Eclipse IDE, iDempiere is built on Equinox, which is the reference implementation of the OSGi specification (two other notable implementations of OSGi are Knopflerfish OSGi and Apache Felix). The team that forked the code partitioned the monolithic Adempiere application into a large number of plug-ins, each with its own classpath and set of dependencies. If you download the iDempiere codebase and open it with Eclipse, you will see that it consists of dozens of projects: one for each OSGi bundle, or plug-in. This allows developers to create custom-built plug-ins without touching the upstream codebase. The Equinox OSGi container manages these plug-ins as free-standing, deployable Java objects that interact with the rest of the core iDempiere bundles by means of APIs. hot redeploy: individual plug-ins can be redeployed on the fly without affecting the others. Now that we have looked at OSGi, let's dig deeper into the structure of iDempiere and look at the core plug-ins that make up the application. When iDempiere starts, a Bash shell script idempiere-server.sh executes the Equinox OSGi launcher org.eclipse.equinox.launcher, passing it the name of the initial executable entry point as a runtime option, namely org.adempiere.server.application. This Java class implements the Equinox OSGi IApplication interface and starts the application. 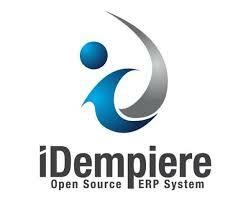 org.adempiere.base: the core functionality of iDempiere. The Equinox OSGi framework implementation is probably better known as the foundation of the Eclipse IDE platform, but it is actually a standalone OSGi implementation. It is launched by the org.adempiere.server plug-in when iDempiere is started and is responsible for loading all the other iDempiere plug-ins and managing the relationships and dependencies between them. Read this tutorial on OSGi modularity with Eclipse by the ever-dependable Lars Vogel, and watch this video by Kirk Knoernschild, the author of "Java Application Architecture: Modularity Patterns with Examples Using OSGi", for a very useful overview of the current state of modularity on the Java platform. iDempiere uses the Jetty OSGi infrastructure to embed an HTTP server inside an OSGi container. This hosts the static content, servlets, OSGi web bundles (the OSGi equivalent of WAR files), and provides support for the Java ServerPages (JSPs) used by the original Adempiere code. In production, it would be wise to put a reverse proxy in front of Jetty, running web application security software such as mod_security. Jetty can expose JMX services which should be monitored in a production environment. The Jetty configuration files are in $IDEMPIERE_HOME/jettyhome/etc/. These core plug-ins are at the heart of iDempiere, but there are many others that provide the application functionality, including the persistence layer, the report writer and the user interface, so follow the tutorial by Carlos Ruiz from GlobalQSS and download the code to explore further. Here is a follow-up post that describes how Buckminster is used to build iDempiere on OSGi.